Percy, who was born in 1893. He was born over in Dalston, and christened over there. His name was Twentyman, but we called him Percy; he died of TB in his twenties. Then me, I was born in 1896. His full name was William Nichol Wilson. His birthday was 27th October. 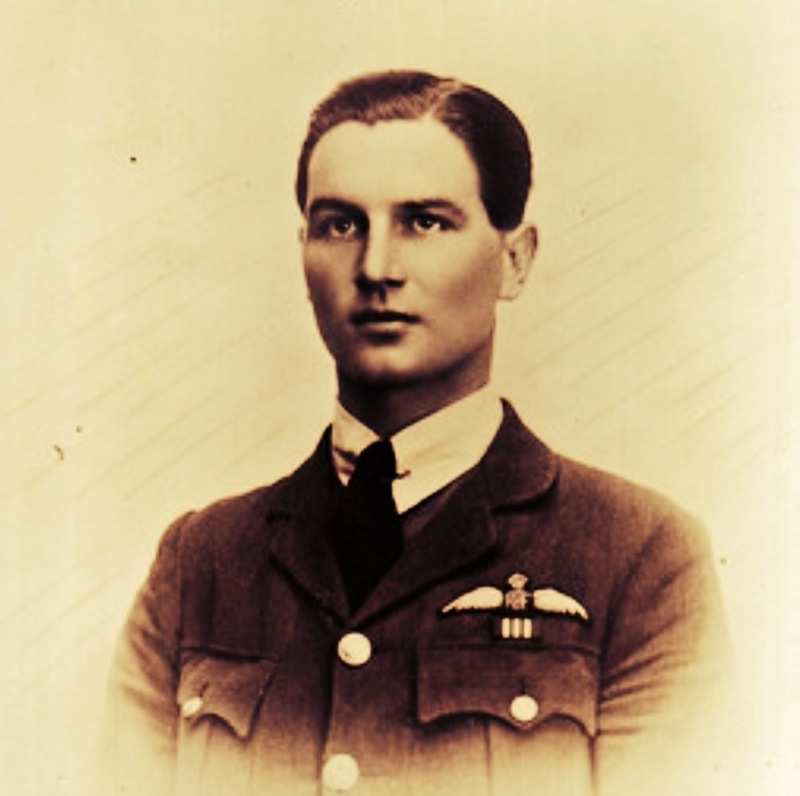 He died in June 1919 when his plane, a De Havilland Bomber, crashed over Belgium. He was delivering mail to Cologne. He was a Flight Lieutenant in the RAF. He’s buried in the a civilian Cemetery, Belgium. He’d gone through the Great War unharmed by some miracle. He’d lied about his age; a lot did that. 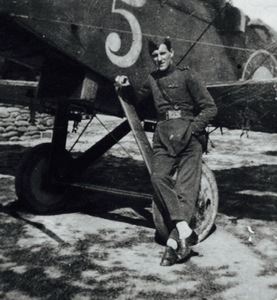 He was taken on by the Royal Flying Corps when we has 15. 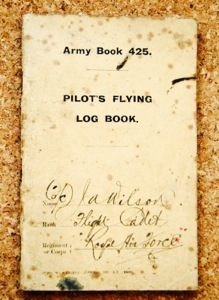 Flight Lieutenant William Nichol Wilson. 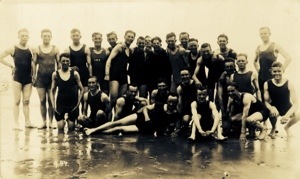 RAF 110th Squadron. Died 8th June 1919. Age 19. I went out to visit the grave the next year. Like everyone the Murray’s had to cut back with the War and they had to let go of most of the staff, my father included. “Why don’t we have a sister?” We kept saying to father. I think he tried his hand but it didn’t come off. 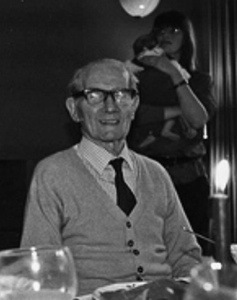 Spencer was born in 1909. Then Stuart in 1911. He was a real gardener, not a half inch one. He trained with people called Kidd. The place was established by Walter Kidd of Ashfield, Shotley Bridge, to sell produce into Newcastle. Things were booming then around Consett & Shotley Bridge. 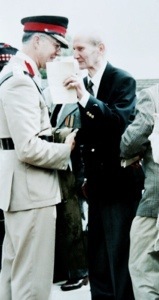 Billy worked at the solicitors J Ainsley & Sons on Tailor Street, Consett. Like me he left school at 14 and joined them as an office boy. He had lovely writing so they made he a clerk. He did the copywriting. Everything was written out by hand in those days; there weren’t even typewriters, let alone computers to take your words down. You used a piece of copying paper that you dampened and laid across the paper to make a copy. After the War I was shown some graffiti on a wall at J Ainsley & Sons. Billy had written his name there behind a picture that had been up on the wall. Beautiful handwriting. 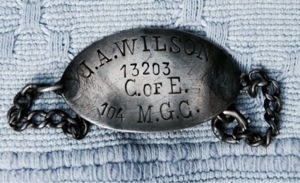 J Ainsley & Sons were owned by the Murrays. Your Great Auntie Pegg, she’s an Ainsley girl and your mother was at school with one of them. Spencer was more or less an unqualified architect working for Murrays, Hoyles and Aynsley’. They were all intermarried the Hoyles and Anandales, Murrays and Ainsleys. Spencer become a draughtsman in Billingham, then a manager to a concreting firm in Birmingham. He was like an architect, but an unqualified one. He’d been a solicitor practising in Newcastle when his father died and left him the business. 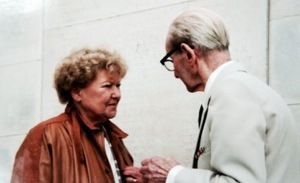 There was his Mrs Murray. Her name was Isabella and she was born in 1867; she came from Wylam and their daughter Miss Ethne. Miss Ethne had a birthday in May and was born in 1894, same age as my older brother Percy. There was a harness with everything in glass cases, saddles etc: Miss Effne had a little Shetland pony with a cream tub trap. She had an Italian Governess for a while, a Miss Rosina Frache, a spinster in her thirties. And later a German Governess who had things thrown at her when war broke out; she was interred. They were locking Germans up. The butcher changed his name and we let him get away with that; he made these excellent sausages. He took the name ‘Butcher,’ which everyone liked. After that we made up our own names for anyone that had a German sounding name. Shotley Bridge was made by a German family; it was a German who had set up the sword makers back in the 17th century. The house had a butler, called Fry. A housekeeper, called Mrs Kirkpatrick. A cook, called Mrs Woodburn who was replaced by Annie Ridley. A house maid, called Emma Housby, a laundry maid, Kathleen Robertson, a Waiting Maid, Jessie Brown and an 18 year old lass they called the ‘Dope’ as the Kitchen Maid – her name was Edith Walker. There was a gardener, called Booth, two gamekeepers, Jack Bell, and a Scotsman called Frank Carruthers. Jack lived at Elm Park and Frank was up at Allensford, Blanchland. Bell lived on the other side of the railway; he’d come over to cut the lawns on a Monday, if the weather was good. Bell pulled on a bit of cord and Booth pushed; it wasn’t motorised and you weren’t to use a horse or pony because that would spoil the lawn. They had these big rollers too; they kept it like they were going to play cricket. All you ever saw was a bit of croquet or lawn tennis. Jack Bell paid the wages for everyone working at the Big House. He kept these single entry estate books up at the Royal Hotel. As a boy, I used to come up to the yard to fiddle on with the engines. I remember at one time there were these great crates of dinner sets to unpack for the cook. It was on the road which ran up to Blackhill on the way to Consett. It was eventually sold to the Consett Iron Company for £6,000 and became a students’ residence. It’s now part of Murray Court – opposite Saint Cuthbert’s Avenue which runs down to the Church. Dobson designed the Church, the man who designed Grey Street in Newcastle. So you see, there was a lot of money in Consett at the time. An Estate Agent bought the Big House in 1967, demolished the old house and built all those houses. The Murrays owned the North Eastern Breweries. My father left Cumberland for Consett in 1894 to take up this position as a Coachman; he later became the Chauffeur when they got a car and they got another groom in. When J G Murray moved into Benfieldside House a relation of my father’s suggested that he apply for the job of ‘general factotum’ and a letter of introduction was prepared for him. This relation was a cousin Mary who was a domestic servant to the Annandales. She married a miner. I took your mother over there on one occasion to pay a visit but your grandmother was funny about it; bit of a snob to tell you the truth. Your grandmother didn’t know her own roots, her father had been a shop assistant when he started out. There was a lot of that going on, people doing well and moving up a peg. JG came from a farming background, his father set up a grocer’s shop, then a wine merchants, from that a pub and another grocers and so on. Once they got a dozen Inns they started the brewery. He had this idea of building a pub with a theatre attached. As the railways spread they built hotels by the stations. There was money to be made if you knew how. Consett in those does was a thriving town. There names were Sarah (b1853), Thomas, known as Tom (b1856), Joseph (b1861), Mary (b1863), Ann (b1868) and Edward (b1874). So you can imagine, if there was a wedding or something the turn out could be huge. We had big families in those days, five or six children were the norm. 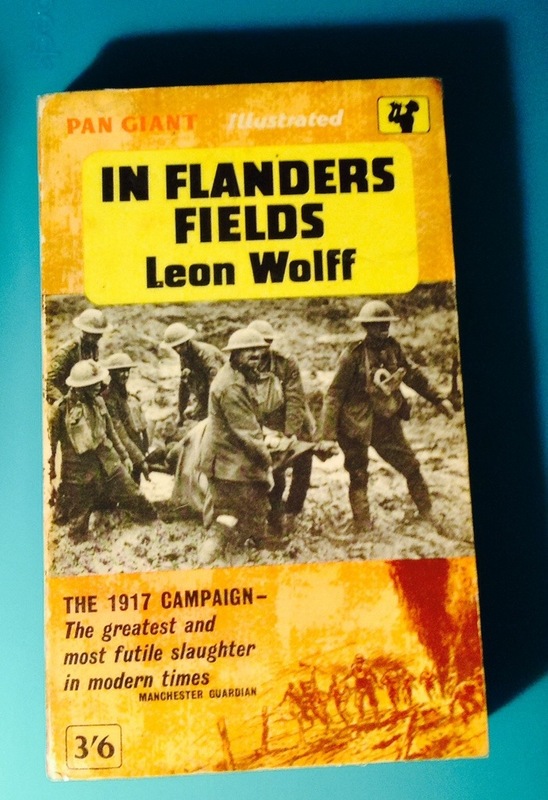 My father did all sorts for J.G: before the motorcars he looked after the horses – they had two landaulettes – everyone got around in carriages and pairs. He also had charge of the garden and would bring in extra men at busy periods to cut the lawns and such. That was done by two men hauling a cutter; none of these mowers you see these days. Twentyman was well in with the Murrays. He was part and parcel of the outfit. He used to look after the hunters and would go with J.G. (b1865) and the Braes of Derwent Hounds. Twentyman would take a second horse for J.G. to change onto when his became tired. The Braes of Derwent Hounds still go out – Otis Ferry, Bryan Ferry’s son, is the huntmaster. The 56 year Jean Jaures, the Socialist leader in France, was an enthusiastic, educated and informed voice in 1914 Europe. He wanted to finding a peaceful settlement between European powers after the assassination of Archduke Franz Ferdinand in Sarajevo. 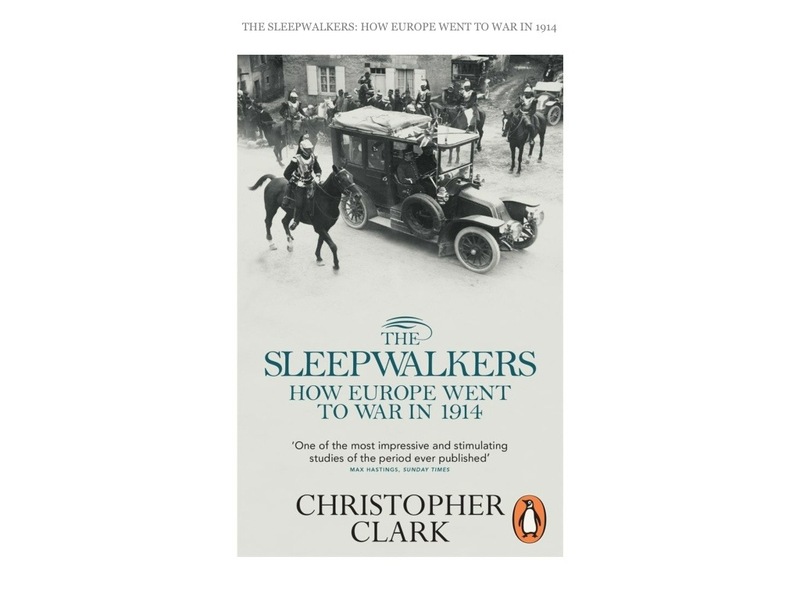 His arguments however went counter to the mood of late July 1914 as Austria, Germany and Russia and the Serbs mobilised for war. Jean Jaures was teaching philosophy at the University of Toulouse when in 1892 he had supported the miners of Carmaux when they went on strike over the dismissal of their leader, Jean Baptiste Calvignac. Jaurès’ campaigning forced the government to intervene and reinstate Calvignac’s. The following year Jaurès stood for election and became deputy of Carmaux in the Midi-Pyrenees, a seat he lost in 1898 largely as a consequence of his staunch support to overturn of the false accusations against Captain Alfred Dreyfus, who had been falsely accused of spying for Germany. During his time out of government Jaurés completed the mammoth ‘Socialist History of the French Revolution’. 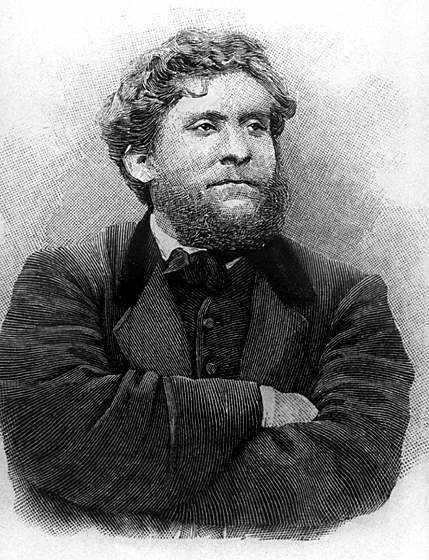 As leader of the Socialist Party, Jean Jaures became a figure of hate of a radical and probably unhinged nationalist Raoul Villain, a 29 year old studying archaeology in Paris and a member of the League of Young Friends of Alsace-Lorraine. Villain bought a revolver and stalked the socialist leader keeping tabs on his every movement in a pocket-book. At around 9.40pm on Friday, July 31st Villain approached Le Cafe du Croissant at the corner of Rue Monmarte and Rue du Croissant in Paris. Jaures was discussing with colleagues how to make an appeal to the US President Woodrow Wilson when Villain saw him sitting in a bay window. Villain raised the revolver and shot Jaures twice in the head. The Archduke Franz Ferdinand knew his mind unlike others at the Court of the Emperor Franz Josef of Austria-Hungary. When he fell in love with someone ‘beneath his station’ he would not budge. Fig. 2. Sophie Chotek, in her early twenties. She was a lady in waiting to the Archduchess to Archduchess Isabelle de Croÿ – Dülmen, who was married to Archduke Friedrich. Knowing that his affection for the daughter of a Czech Count, Sophie Chotek would meet with disapproval and marriage never permitted they kept the relationship a secret. Fig. 3 The young mistress of Count Rudolph, another Austro-Hungarian royal who found the obligations birth intolerable. His older brother Otto (born 1865) had dutifully married a Royal, though he kept a mistress, just as the Emperor Josef had done for decades. This kind of behaviour came unstuck when the heir presumptive to the Crown, Count Rudolph, in an unhappy marriage, started to have an affair with a girl, possibly as young as 15 when the relationship began and certainly only 17 when it ended. Fig. 4. Count Rudolph blew his brains out rather than live a life without his lover. On 30th January 1889 Count Rudolph killed his young mistress rather than give her up then committed suicide himself. Fig. 5 Clearly a poisoned chalice, Archduke Karl Ludwig, Franz Ferdinand’s father, had no desire for the Austro-Hungarian throne. Rudolph’s uncle, Archduke Franz Ferdinand’s father Archduke Karl Ludwig and the next in line to his older brother Franz Josef, renounces the throne within days in favour of his eldest 26-year-old son: Franz Ferdinand was 25 at the time. 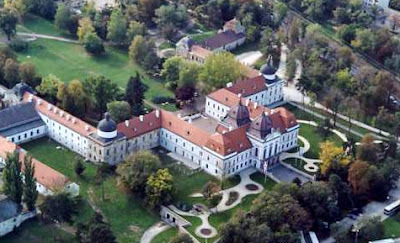 In the 1890s, when stationed in Pressburg (Bratislavia) Franz Ferdinand was a regular visitor to the archduke Friederich of Teschen at the Palace Grassalkovich. It was Friedrich’s wife, the archduchess Isabella of Croy-Dülmen who hoped that Franz Ferdinand would be interested in marrying one of their several daughters. However, Franz Ferdinand’s affections developed instead for a lady-in-waiting of minor nobility: Sophie Chotek. The court considered her to be an unsuitable match due to her family’s lack of a broad royal pedigree in her lineage. Franz Ferdinand may have considered renouncing the throne for her. Franz Ferdinand was exceedingly wealthy having inherited an uncle’s vast estates when he was 12 so perhaps he bargained with the Emperor – let him marry Sophie and he would indeed become the heir presumptive. Deeply in love, Franz refused to consider marrying anyone else. In turn, Pope Leo XIII, Tsar Nicholas II of Russia, and the German Emperor Wilhelm II make representations to the Emperor. Fig. 8. Franz Ferdinand’s step-mother Marie Theresa (she’s easy to spot in the old film footage of the old Emperor). It is almost certainly Franz Ferdinand’s stepmother, Marie Theresa who became one the most influential at court after the death of Count Rudolf as he empress had retired from court life, who helped support her stepson’s choices of bride. In Vienna, on Thursday 28th June 1900 Franz Ferdinand signs a paper before Foreign Minister Goluchowski stating that neither Sophie nor their children would have rights to succession, the titles or privileges of a royal Archduke. Fig. 9. A royal wedding that has more authenticity to it than would have been the case had the royals of Europe attended. On Sunday 1st July 1900, in the Chapel at Reichstadt in Bohemia, Marie Theresa’s home, Franz and Sophie marry. The only members of the Imperial family attending are Franz Ferdinand’s stepmother and her two daughters – Archduchess Maria Annunziata and the Archduchess Aloys. Those absent included the Archduke’s uncle the Emperor, his father the Archduke Karl Ludwig, his brothers and his sister the Archduchess Sophie. Those present must surely included Sophie’s six sisters and her brother. Fig. 10. Archduke Franz Ferdinand and his family not long before mother and father are murdered. The couple have four children: Princess Sophie von Hohenberg ;is born the following year on 24 July 1901, while Maximilian, Duke of Hohenberg is born on 28 September 1902 and Prince Ernst von Hohenberg in 1904. There is also a stillborn son born in 1908. Fig 11. The British Royals. Because of their morganatic marriage, many European royal courts feel unable to host the couple, however, some do so, including King George V and Queen Mary, who welcome the Archduke and Sophie to Windsor Castle in November 1913. Franz Ferdinand had entered the army young and was frequently promoted, given the rank of lieutenant at age fourteen, captain at twenty-two, colonel at twenty-seven, and major-general at thirty-one. In 1898 he was given a commission “at the special disposition of His Majesty” to make inquiries into all aspects of the military services and military agencies were commanded to share their papers with him, which is how he came to be invited by General Oskar Potiorek to observe military manoeuvres in the Austro-Hungarian province of Bosnia-Herzegovina in 1914. On the morning of Sunday 28th June 1914 the Archduke and Duchess are part of a motorcade with a number of planned stops. There are seven armed assassins waiting for them – Serb Nationalists led by leading figures who wanted the province of Bosnia and Herzegovina to become part of a Greater Serbian nation. The mind been this plot and previous assassinations – failed and successful – is Dragutin Dimitrijević, a very able,though ruthless 36-year-old military man. He knew of Franz Ferdinand’s ideas for a federated ‘United States of Austria- Hungary’ and feared that would put an end to bringing the southern Slav provinces of the old empire into the Serbian fold. Nedeljko Čabrinović throws a bomb at the open top tourer carrying the Archduke and Duchess but it bounces off the unfolded canopy, possibly as the chauffeur spots the danger and hits the accelerator. The bomb goes off under car behind wounding several of the occupants – soldiers from the academy. Despite the self-evident danger of his presence in Sarajevo the Archduke presses on with a short engagement at the City Hall. Less than an hour later, against advice, Franz gets back into the open-top tourer. Given the heightened dangers General Oskar Potiorek suggests that Sophie stays behind, but she insists on remaining at her husband’s side. After more than a decade of being snubbed due to court protocol she may relish any rare opportunity such as this – despite the risk. Fig 14. The numerous opportunities to assassinate Franz Ferdinand. This was the work of seven young men, never just one. This map above is wrong. The car used, as can be seen below, was a right hand drive tourer … until the Anschluss in 1938 they drove on the left in Austria. This photograph of the Archduke’s car coming down the Quai Appel also shows it on the left. Fig 15. Archduke Franz Ferdinand and Sophie Chotek on leaving the Town Hall. The vehicles in the entourage initially stick to the original itinerary until it is remembered that the Archduke had asked that they go to the hospital to visit the wounded from the bomb attack. Having taken the wrong turning the driver stops and begins to reverse back onto the Quai Appel. Fig. 16 Contrary to just about every caption where this picture is published this is NOT the assassin Gavrilo Princip, but the earlier arrest of Nedeljko Čabrinović who threw the bomb. Someone has very crudely painted a moustache on the figure. By chance this presents Gavrilo Princip with an extraordinarily good opportunity to fulfil his mission. He raises the revolver he has been practising with for the last few months and shoots at point-blank range. The first bullet hits Franz in the neck and the second hits Sophie in the abdomen. Fig. 17 Franz Ferdinand and his family. No ‘royal’ in Austria has been allowed by law to use their titles of birth since. As Sophie dies she expresses concern for her husband’s health, while Franz implores Sophie to stay alive for the sake of their young children. Both are dead within minutes. The couple leave behind them three children, their eldest daughter Sophie, soon to be 14, Max, age 11 and younger son Ernst age 8. The repercussions for Europe are that Austria sends an army in Serbia which triggers a response by Russia to defend its Serbian ally and the Great Powers line up then tumble towards war. Regarding this ‘love story’, setting aside their status and Franz Ferdinand’s objectionable character, it was tragic to be a royal obliged to marry only within strict rules. That the couple should be assassinated leaving their children is tragic too.